INTEX EXPLORER 100 1 PERSON INFLATABLE BOAT NEW!! 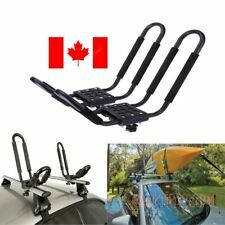 Suitable for most kayak, canoe, fishing boat, dinghy, car, etc. Fashion shark teeth mouth design, great to decorate your car, making it very cool and attractive. 2 Shark Teeth Mouth Stickers. Made of high quality PVC, waterproof, non-toxic and durable. 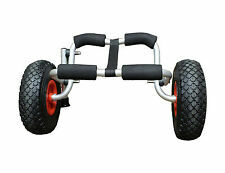 Useful tool for outdoor activities that needs a comfortable seat cushion, perfect for fishing, kayak, etc. 1 x Seat Cushion Pad. This item is made of quality cotton and synthetic fiber material, safe, skin-friendly, soft, durable. 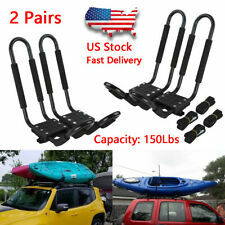 TWO PAIRS J RACKS CAR ROOF TOP CARRIERS W/STRAPS+ROPES - FOR 2 KAYAKS - NEW! 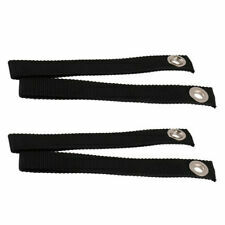 3 x Kayak Paddle Leash. Allows you to free up both hands when needed without the chance of losing a paddle. They also can be used to secure your fishing rod. Unstretched Length: approx. The leashes are made to withstand of saltwater or freshwater. 42" Durable Downwind Wind Sail Sup Paddle Board Instant Popup for Kayak Boat Sailboat Canoe Foldable Style Orange. Fits for Solo rec. boat to Touring kayak, SOT 8 – 15 feet. Product Type: Kayak Sail. 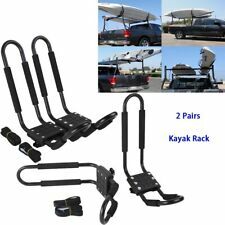 Fit most kayak, canoe, fishing boat, dinghy etc. Material: Vinyl. Size XLarge. Made in USA! 1 front pocket. Clean inside and out. 1 x Kayak Seat(not include other things). 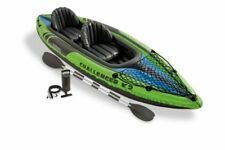 Fit for: kayaking, inflatable boats, fishing boats, drift boats. We will try our best to reduce the risk of the custom duties. Size: 38x32cm. Color: Black. High quality premium elastic and flexible rubber latex core covered with polyester. Also note that monitor settings may vary from computer to computer and may distort actual colors. 1 Piece Shock Cord. Used for: Deck rigging, Deck bungee and Rescue deck line. Used for: Deck rigging, Deck bungee and Rescue deck line. 10 Pcs D rings with screws and nuts. 10 Pcs D rings with screws and nuts. 21pcs kayak anchor trolley kit includes almost everything needed: 1 5mm 9.1m Rope, 1 Zig zag cleat, 1 Rigging O ring, 2 Carabiner, 2 Pulleys, 2 Pad eyes, 2 M5x30mm Screw, 4 M5x25mm Screw, 6 M5 Wellnut. 1/2Pc Air Foot Pump Valve Hose Adapter Connector for Inflatable Boat SUP Kayak. Foldable Kayak Boat Wind Sail Sup Paddle Board Sailing Windpaddle Sailboat 42"
■ 1x Kayak Seat (other accessories not include). ■ Effectively protect the bottom, sit up very comfortable. 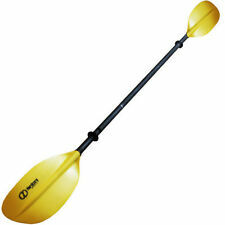 ■ Fit for: kayaking, inflatable boats, fishing boats, drift boats. ■ High quality EVA material, more comfortable and durable. CE84 Hatch Cover Boating Deck Plate Bag Kayak 10"